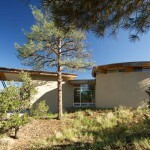 This green home designed by Colorado architect Dominique Gettliffe features a stucco exterior, straw bale insulation, solar hot water and other sustainable features. 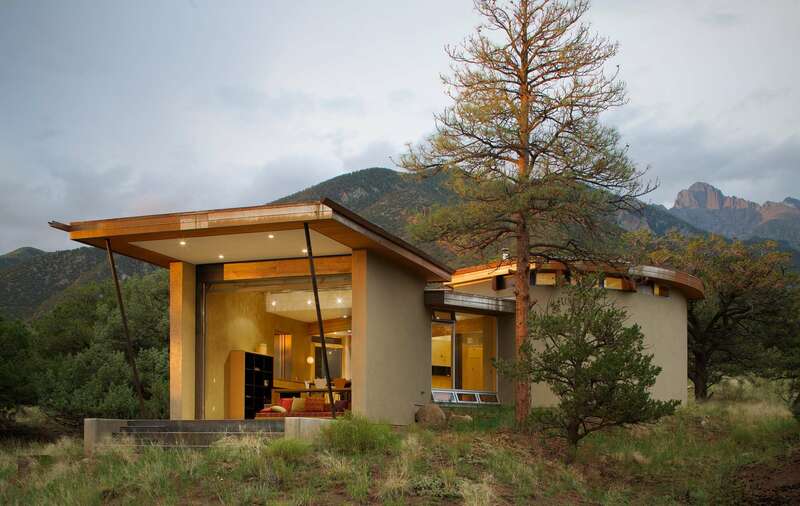 A large rolling glass door opens onto an open patio and a beautiful view of the valley. 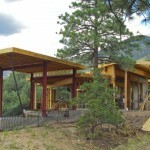 The multinational owners wanted to uphold the inherent character of the majestic site located at the cusp of the Sangre de Cristo Mountains and the San Luis Valley in Colorado throughout the process and in the final result. 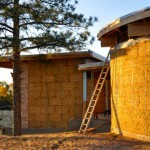 Designed to merge into its natural setting and link occupants with the outdoors, the straw bale home was constructed to be energy efficient, sustainable and green. 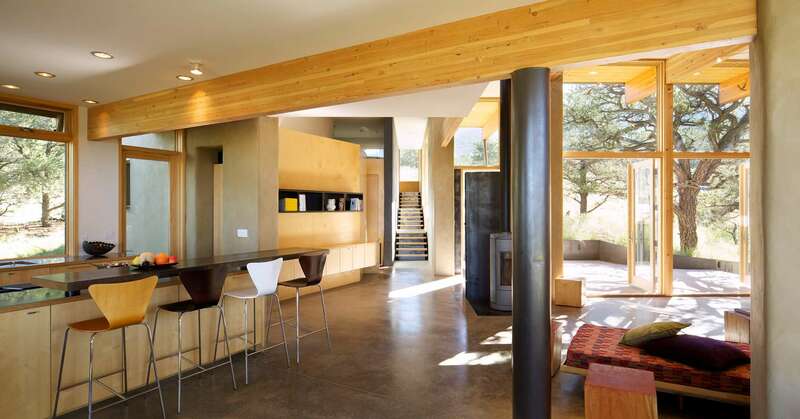 The large windows make for a comfy place to relax and unwind. The custom-built sofa faces toward an ultra-efficient wood-burning fire place. The living area is designed to be open and flexible, and is a great place for relaxing, or enjoying the warmth of the fire. 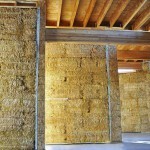 Dit artikel is geplaatst in construction en getagged alternative, building, construction, green, home, house, natural, organic, straw, straw bale, sustainable. Bookmark hier de permalink.